P.E.A.C.E is a Network and platform for peer exchange of scientific, academic and societal issues concerning Africans aimed at empowering Africans, giving back to the Community (GiBaCo) and fighting “Brain Drain” in our African Communities. PEACE, a Pan-African Network is to launch its first networking Centre in Post-colonial Cameroon. The aim for this Centre is to create awareness, empowerment, facilitate and enhance networking within our Communities. Our network promotes finding African solutions to problems arising in the continent and Africans in the Diaspora, knowledge transfer, information dissemination through workshops, seminars, conferences, publishing of research materials, inter-networking of media and communication streams on African and Africa pertinent issues. The PEACE Centre is open to the public. ·An academic center, which will serve and act as a scientific and research multipurpose center. ·Lodging which will be strictly opened only to guests who come to visit and assist the organization. ·A snack bar, which will serve as a refreshing corner for our guests. ·An Artelier and Arts-Gallery to promote and empower young and rising African artists. In spite of these aforementioned projects, we stick to our main focus and priority, which is to actively promote the African heritage, analysing and finding alternative proposals for solutions to issues in and about Africa in order to create and build the continent of our dreams. That is why as a Network we are calling on the public as a whole and Africans in general to donate to PEACE. Furthermore, you might already know that we don’t ask for funding from institutions that are not African. It is a principle, which is challenging because so far, only little financial assistance has triggered into our coffers. But we have been able to abide to it. Therefore we need funds to be able to survive in the long run, build our infrastructure and shape our destiny. As such we are pleading for your support to grow and stay strong. Every donation channeled to us will be for the development of PEACE. Dieser Beitrag wurde am 10. Oktober 2016 von glokal in Blog veröffentlicht. Schlagworte: Afrika, Empowerment. After the last sky ist das erste interdisziplinäre und internationale Festival in Deutschland, das die facettenreiche Praxis zeitgenössischer palästinensischer Künstler*innen erfahrbar macht. Mit Theater, Film, Performance, Literatur, Spoken Word, szenischer Lesungen, Musik und Tanz widmet sich das Festival vom 9. September bis zum 9. 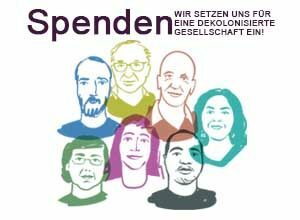 Oktober 2016 der künstlerischen Vielfalt palästinensischer Narrative und Visionen und schlägt gleichzeitig Brücken zu globalen Zusammenhängen von Kolonialisierung, Flucht, Widerstand und Empowerment. Dieser Beitrag wurde am 19. August 2016 von glokal in Blog veröffentlicht. Schlagworte: Empowerment, Kunst, Palästina, Widerstand. Die Initiative Schwarze Menschen in Deutschland (ISD) wird 30 Jahre alt. Wir gratulieren herzlich und freuen uns auf spannende Veranstaltungen angesichts des Jubiläums. Dieser Beitrag wurde am 24. September 2015 von glokal in Blog veröffentlicht. Schlagworte: Empowerment, Rassismus. Peer Exchange of African Communities for Empowerment (P.E.A.C.E) is a network and platform for peer exchange of scientific, academic and societal issues concerning Africans aimed at empowering, giving back to the Community (GiBaCo) and fighting “Brain Drain” in our African Communities. Part of the challenge is also to train Community members on how to document and analyse the impacts of their engagement. Siehe dazu dieses Video und vor allem den Aufruf zur Beteiligung hier. Dieser Beitrag wurde am 29. Juli 2015 von glokal in Blog veröffentlicht. Schlagworte: Afrika, Empowerment.